Stream anime episodes online for free, Watch One piece Episode 116 English version online and free episodes. 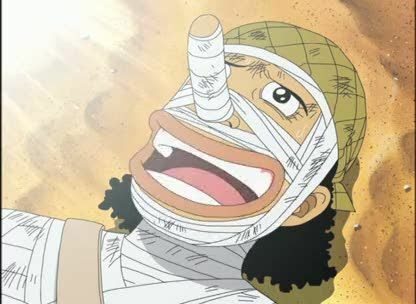 Anime Episode guide One piece Episode 116 English dubbed Transformed into Nami! Bon Clay’s Rapid-Fire Ballet Kenpo! Sanji manages to figure out that Mr. 2 must transform into his original form to use his Ballet Kenpo, and finally manages to defeat him. Vivi decides to have Chaka blow up the palace to distract the rebels long enough to reveal the truth, but before she can carry out the plan, Crocodile arrives with the kidnapped Cobra.